« Estampilla de rookie y nueva living! 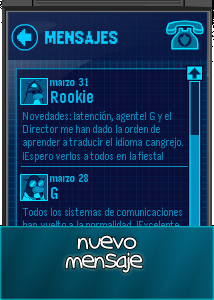 Rookie:Novedades:laatencion,agentel y eldirector me han dado el orden a traducir el idioma cangrejo Espero verlos a todos en la fiesta! This entry was posted on March 31, 2011 at 7:03 pm and is filed under Uncategorized. You can follow any responses to this entry through the RSS 2.0 feed. You can leave a response, or trackback from your own site.